Only Alice has her own reasons for wanting to live at 46 Heath Street. 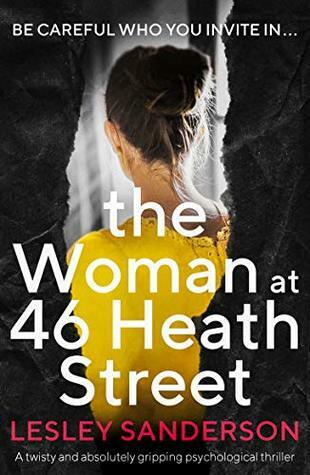 The Woman at 46 Heath Street by Lesley Sanderson is one of those books that I’m a bit hesitant to completely label a thriller but maybe more of a drama with some suspense. The story in this one is told from different points of view and different timelines. Ella is the housewife at 46 Heath Street who thought she had a wonderful marriage and life since moving into the home. 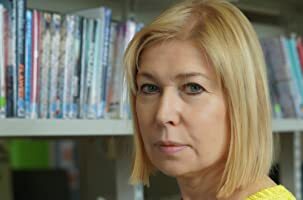 Hard times had hit when Ella’s mother in law had passed after the two had grown close but Ella never expected to lose her husband too until she finds a note that suggests he is cheating. Once Ella confronts her husband he doesn’t make any attempt to deny the affair and almost happily packs up and leaves. The problem though? 46 Heath Street belongs to Ella’s husband and Ella is not ready to leave having been the first real home and family she had known. The story in this book was easy to follow despite changing POVs and flashing back to the past. However, maybe that was one of the problems with The Woman at 46 Heath Street, it’s very straight forward which doesn’t lead to an overly thrilling read. While the writing was solid I longed to be shocked and awed instead of seeing right where I was going to end up. I also thought Ella was a bit too weak of a character for me to fall in love with so that also didn’t help my excitement and left me with a bit of a meh feeling. Your review was very similar to others I have read. Better luck with your next thriller.